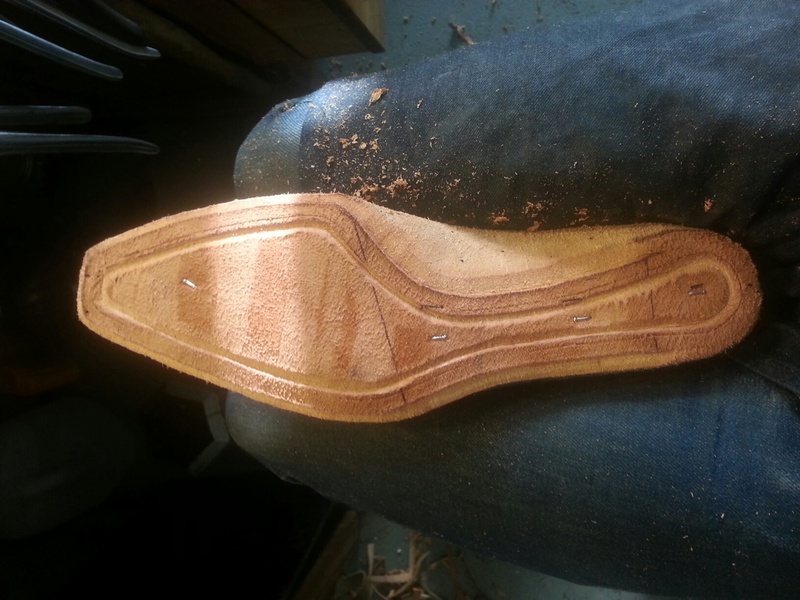 The welt is trimmed to the rough shape of the sole. I have always wanted to make a balmoral sidelace…. 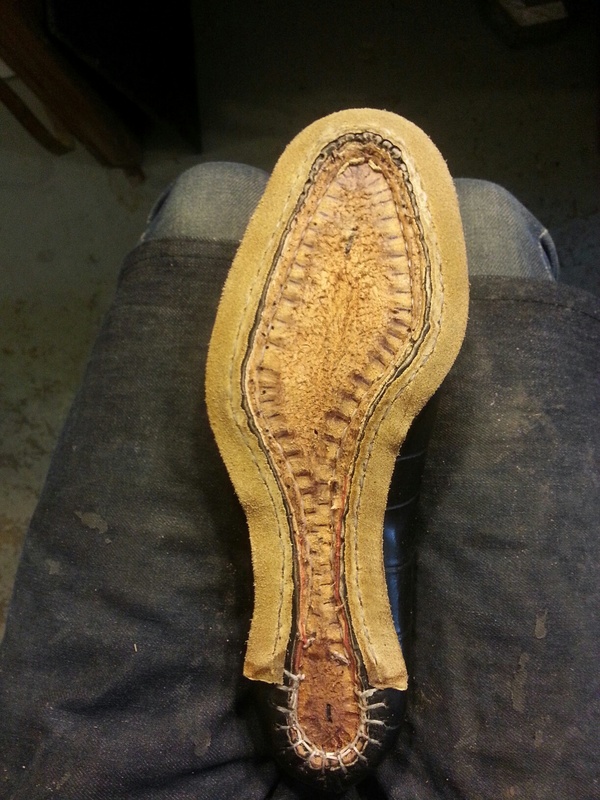 And another sole prepped for the my favorite garden variety English welt with beveled waist. The upper for this shoe is special because I have worked for many months with a client refining a design… next post you will see. What makes it “Balmoral” side lacing? The sweet curviness of the facings? 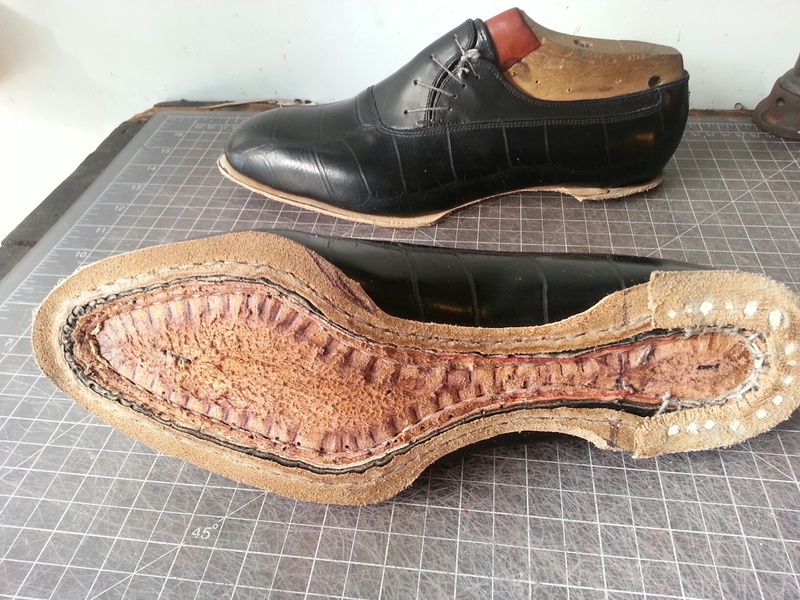 A Balmoral Oxford is a upper design where the vamp is the same piece that goes along the quarters and heel. The facings are of separate pieces. It is a sidelace just because the facings are asymmetrical.